Somehow, despite making up a bunch of crap off the top of my head, I managed to complete a rough draft of a script for Hero House. So now the question becomes...who's going to draw this thing? Here's the irony: My father is a professional artist. My brother is a professional artist. I am not a professional artist. I used to hand storyboard sketches into my editor-in-chief and he'd say he felt like he should be hanging them on his refrigerator. Clearly I needed to find an artist. I didn't feel like my dad or brother could devote the time I knew it would take, so I decided to hit them web - specifically the Digital Webbing message board, which I'd heard had an entire section devoted to writers trying to find artists, vice versa and etc. And that's where I found Mike Dimayuga. It was a total stroke of luck...probably the biggest single bit of luck that lead to the comic actually being able to come out. I didn't know exactly what I was looking for, but I knew I wanted someone who could draw superhero action, but who also had the character drawing skills to tell stories with the facial expressions of the characters - important, if I was going to try to do any sort of comedy. 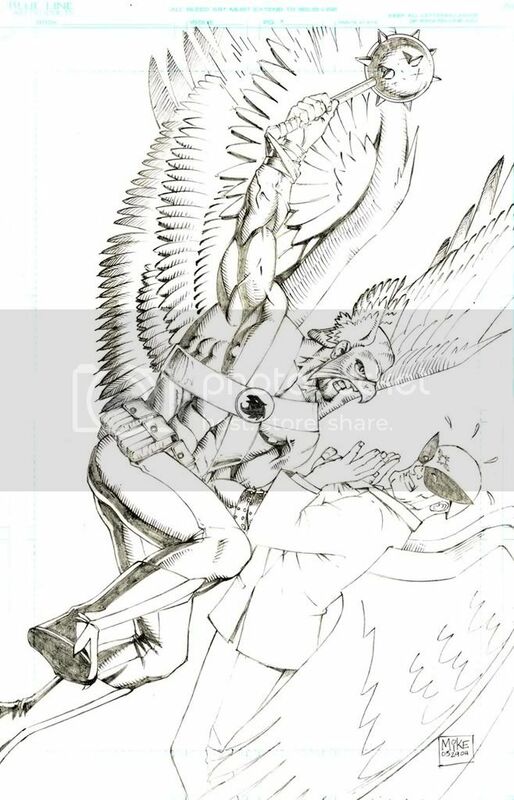 I hadn't known what I was looking for, but here was exactly what I was looking for: a Hawkman that had elements of Art Adams and Steve Dillon. A Harvey Birdman whose expression leapt off the page. If one guy could do both these figures, he could absolutely draw Hero House. Luckily, Mike was just as excited about the project as I was for having him aboard. And over the subsequent five years, Mike's enthusiasm and tireless dedication to the book have truly kept it going in its darkest days. It's no exaggeration to say Hero House wouldn't exist without Mike, and there's no way it would look half as good as it does without him. I know that Mike's next project is something very exciting, and while it's not for me to reveal it here, I'll say this: keep your eye on Mike Dimayuga. Oh, and buy Hero House. I've gotta throw that in there, as well. Other than Nate and the basic premise, I really didn't have much of the plot decided when I sat down and started writing, and I certainly didn't have any of the characters mapped out. So I did something weird, and I'm not exactly sure why I did it, other than there was a spirit of "anything goes" happening at the time: I made up all the members of Hero House off the top of my head. When it came time to mention a member in the script, I just wrote their name down. Sometimes this worked out really well. Brutal, Animale, Pseudopod...they were all just off the cuff, and their characters and backgrounds got filled in later. Sometimes this didn't work out so hot, and that's where Brother Nozzle came in. Brother Nozzle was entirely invented to serve a joke. He was going to be serving the punch, and it was going to gross Nate out. Because Nozzle's power was...to absorb and then redirect liquids. So he was going to be spraying the punch out of his finger into the punch bowl. Great gag...terrible, terrible character. I got as far as getting Nozzle down on the page, when I stopped and thought about it. What the hell kind of power was absorbing and redirecting liquids? How could that help the Eps in a battle? How would that be in the least bit interesting to write about? The answer, of course, is that it wasn't. It was incredibly stupid. However, given the fact that I made at least six heroes up on the spur of the moment and only one of them was a total dud...that ain't bad! 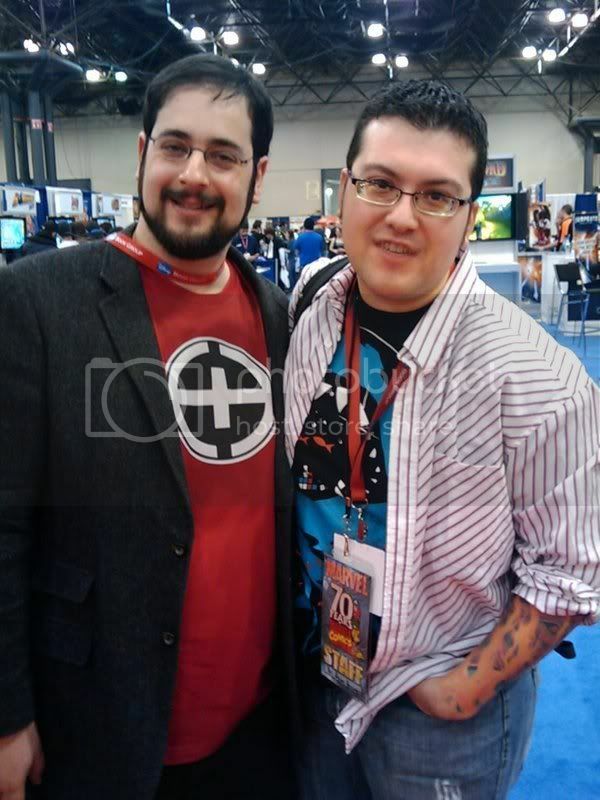 So rest in peace, Brother Nozzle. 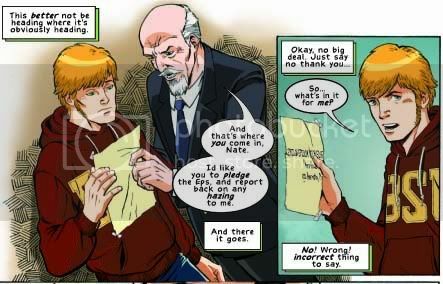 You will never appear in a comic book written by me. Welcome to the official launch of AclinCorp, a production blog dedicated to the superhero OGN Hero House. Before we get started, you can go here to learn more about Hero House, and here to learn more about this website. Update: Due to whatever vagaries of the posting process, the colors for these pages ended up looking a little more...intense than they will in the finished product. All my life, I've wanted to write superhero comics. And while my experiences writing fart jokes for the Hulk's action figure helped scratch that itch a little bit, it's not the same as writing a full-out, illustrated action comic. 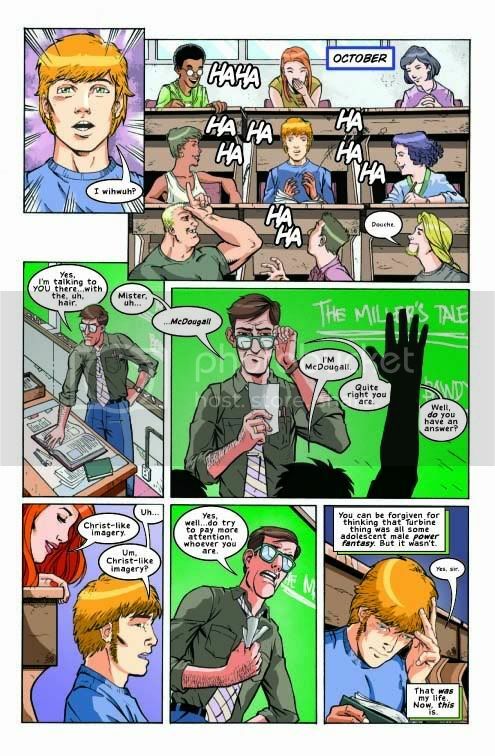 So five years ago I realized that I was never going to get an offer to write the X-Men based on said fart joke writing skills, so I decided that I was going to create my own comic, get it illustrated and get it published. That's not such a tall order, right? That just left the small matter of plot. My mind immediately started to go to murder mysteries and terrible conspiracies, and I had to stop myself and think, "Hey, idiot - if people know you for anything, it's for dumb comedy. Nobody wants to read a depressing murder mystery from a comedy writer." (Unless it's Woody Allen, which I'm not.) So I set about coming up with a plot that had some drama in it, undoubtedly, but also left plenty of room for humor and would be, above all, fun to read. 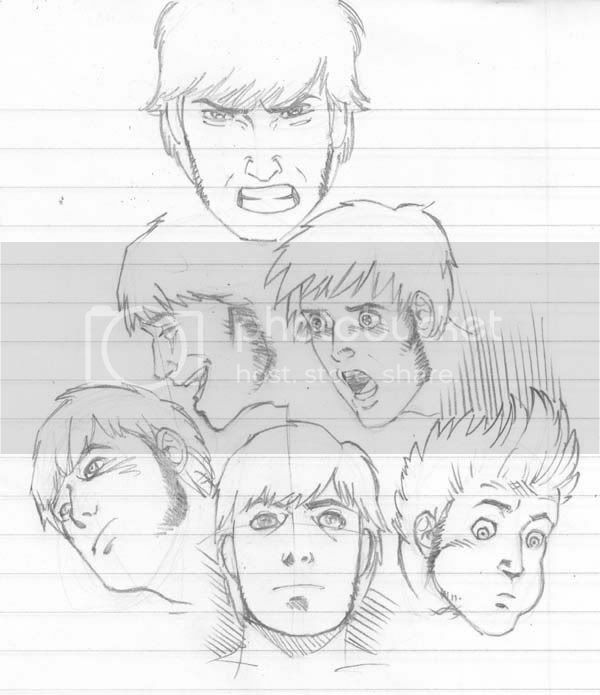 And the first thing that plot needed was a main character. 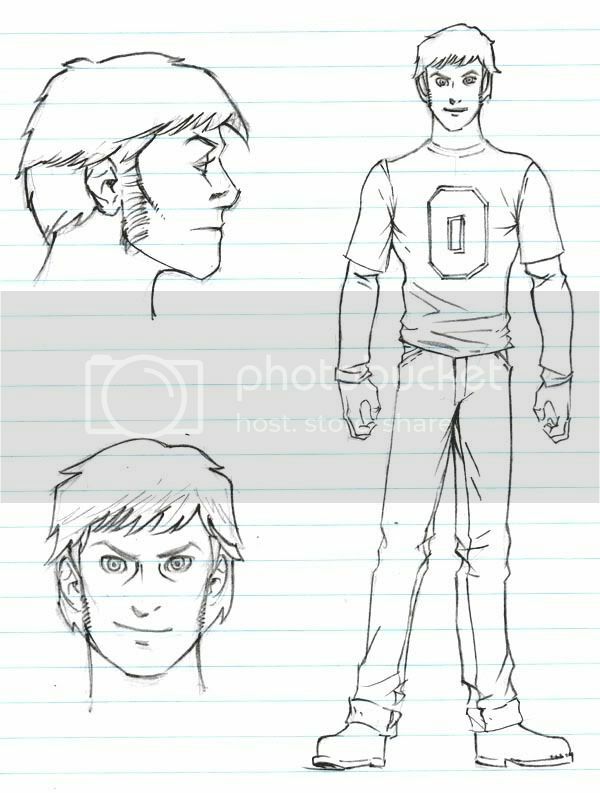 So the next post (after our preview pages - see above) will deal with Nate Hedges, formerly known as teen hero Turbine the Turbo Teen. Yeah...he's embarassed by the name now, too. Hero House is an original graphic novel coming in November from Arcana Comics. It's character-driven superhero action with a sense of humor and a simple concept: a college fraternity for the superheroes of tomorrow. Epsilon Epsilon Psi is a fraternity with a unique mission: to prepare the super-powered students of today to become the best superheroes they can be. 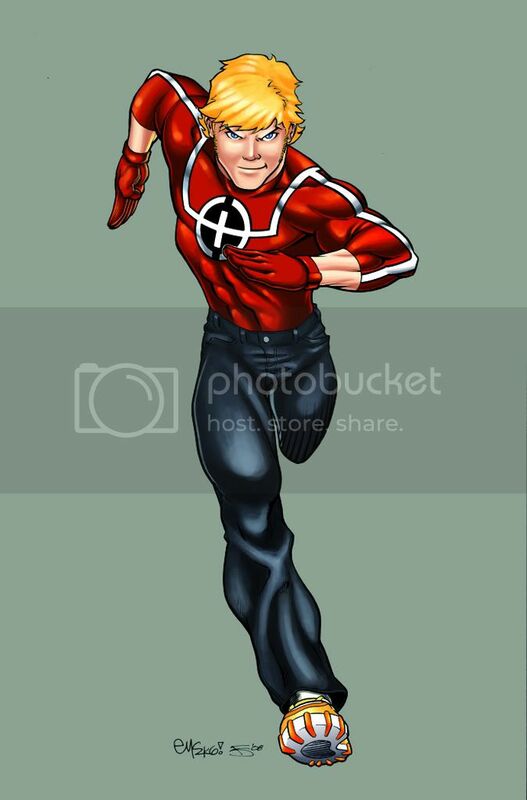 Nate Hedges was a teen superhero and the star of his school, but at college he feels like a nobody. 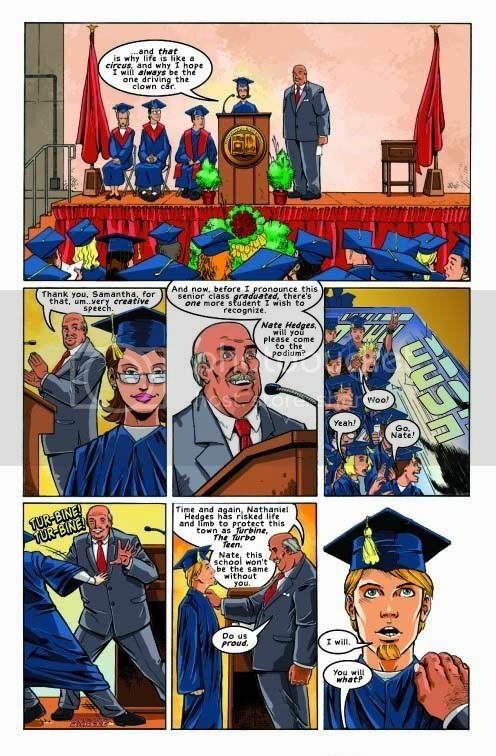 So when he's tapped by the university president to go undercover and investigate the Eps, will he find the super-powered hazing the administration fears? Or will he find a place where he finally belongs? 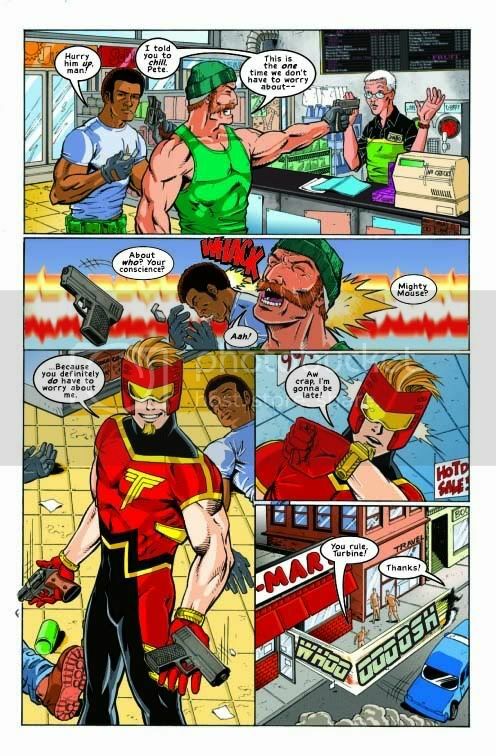 Hero House is slated for release on November 25th 2009 in comic shops and on Amazon.com. Stay tuned to AclinCorp for all the Hero House news you need!